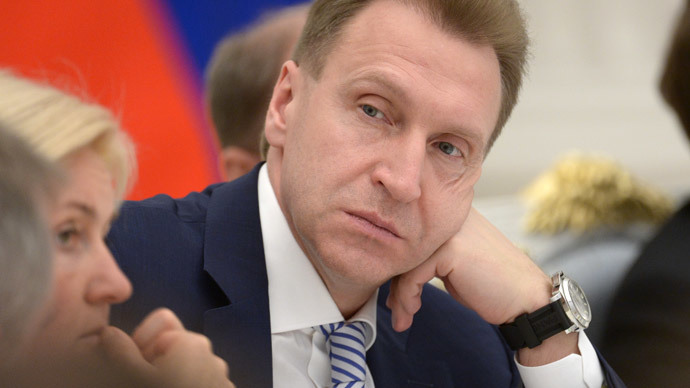 The Russian economy is still facing difficulties which, however, cannot be called a full-scale crisis, said first Deputy Prime Minister Igor Shuvalov. "The worst-case scenario has failed to materialize. We cannot say that everything is fine – the economy is in a precarious state. But the situation is far from critical when we would be employing all our anti-crisis strategies and consider increased budgeting ,” Shuvalov said Friday at the All-Russian conference on the Russian construction industry. At the same time he doesn’t exclude the possible deterioration of the situation, but it is unlikely to happen in general – only in some industries. "We expect that after a certain stabilization of the situation [the Russian economy] will after all start to rise above this lowest point," he said. Shuvalov said he hopes that the Central Bank will again cut the key rate in the coming months, RIA Novosti reports. On April 14, Prime Minister Dmitry Medvedev said that the downturn of the Russian economy at the beginning of 2015 turned out to be less harsh than predicted by experts. The current state of the Russian economy exceeded the expectations of the government and analysts. The ruble has managed to regain ground since the beginning of 2015, having reached 49.36 per US dollar on Friday compared with 79 rubles in the middle of December 2014. The inflation rate in late 2015 - early 2016 is expected to sharply slow down, allowing the Central Bank to soften its monetary policy, Russia’s Minister of Economic Development Aleksey Ulyukayev said earlier. As a result, real incomes and consumer demand in Russia may see positive dynamics already in the first quarter of 2016, the minister said. At the same time exporters may continue to gain advantages from the weak ruble until 2017, he added.